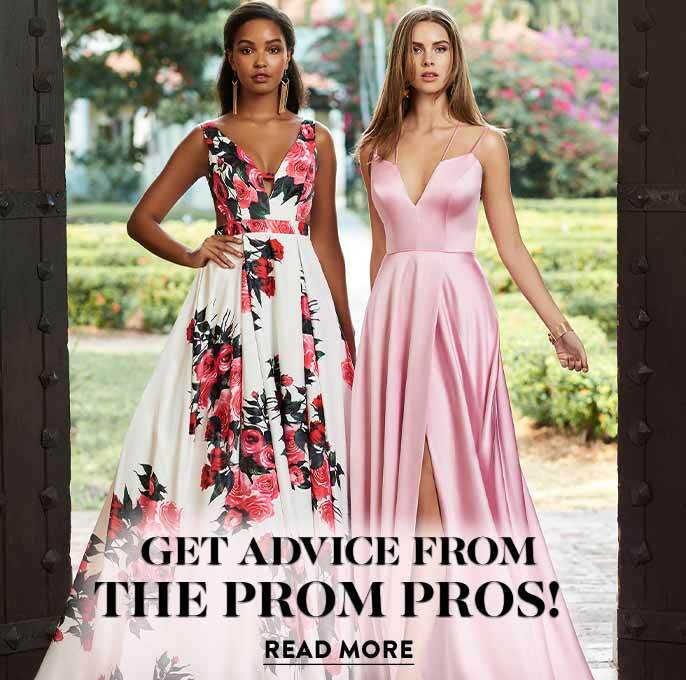 PromGirl carries a large selection of Bar Mitzvah dresses and Bat Mitzvah dresses from the top dress designers: Sherri Hill, La Femme, Mori Lee, Faviana, Jovani, and many more. Whether you are the guest of honor or attending to offer your support and praise, choosing the right formal wear is simple with this great selection of teen party dresses for Bar Mitzvahs and Bat Mitzvahs. These semi-formal dresses are available in a variety of styles, including short party dresses for teenagers, high-low designer dresses, and elegant short dresses. 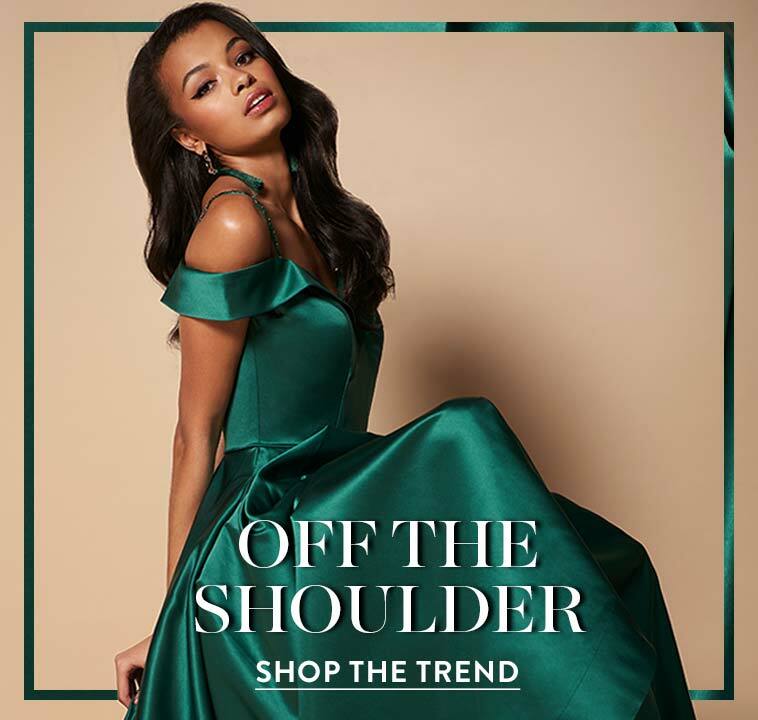 From youthful chiffon party dresses with twirl-worthy skirts to elegant short formal dresses featuring subtle stylings like delicate lace, classic pleats and intricate beading or embroidery, theses Bar Mitzvah dresses and Bat Mitzvah dresses are sophisticated and elegant. Attending a Bat Mitzvah and Not Sure What to Wear? No problem! 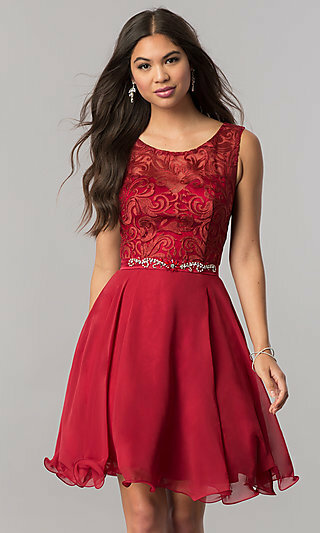 PromGirl’s collection of Bat Mitzvah and Bar Mitzvah dresses includes styles perfect for guests, as well as honorees. The proper formal attire to wear is based upon the type of celebration. From fun themes, live djs and mcs, to elegant formal sit-down dinners, the Bar Mitzvah party can vary greatly depending upon the wants of the Bar Mitzvah or Bat Mitzvah. A short sequined cocktail dress is sure to look radiant under the lights at a formal venue, while a classic little black dress is a timeless, sophisticated choice for any setting. Try an off-the-shoulder knee-length teen party dress for a trendy and chic style, or a high-neck short party dress for a more mature modest style. 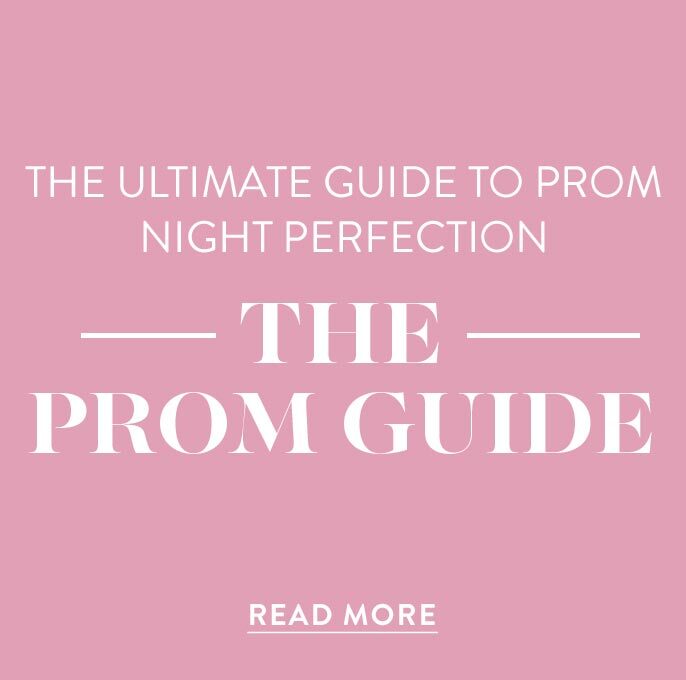 Whatever your desired look, celebrate in style with a Bar Mitzvah or Bat Mitzvah designer dress from PromGirl. Bar/Bat Mitzvah translates to, “son/daughter of the commandment.” For Jewish youth, a Bar Mitzvah celebration is a pivotal occasion of significant importance, so choosing an appropriate short dress for this occasion is important. Typically observed at the age of 13, the ceremony signifies fulfilling the obligation to observe the commandments of Judaism. The Bar Mitzvah and Bat Mitzvah become responsible for their own actions, and are now viewed as active members of the community. Traditionally, there are two main sections of a Bar/Bat Mitzvah, the reading ceremony and the celebration. From a religious standpoint, the most important part of the ceremony is the reading during Shabbat morning services. The Bat or Bar Mitzvah honoree studies the Torah for months prior to the ceremony, preparing to read a passage. Shabbat services are usually followed by a kiddush, or light meal, and later a celebration of the honoree’s achievements. As you celebrate this momentous accomplishment, be sure to look and feel confident in one of the semi-formal party dresses for juniors from this collection of Bat Mitzvah and Bar Mitzvah dresses. Once the ceremony is complete, get ready for some music and dancing. 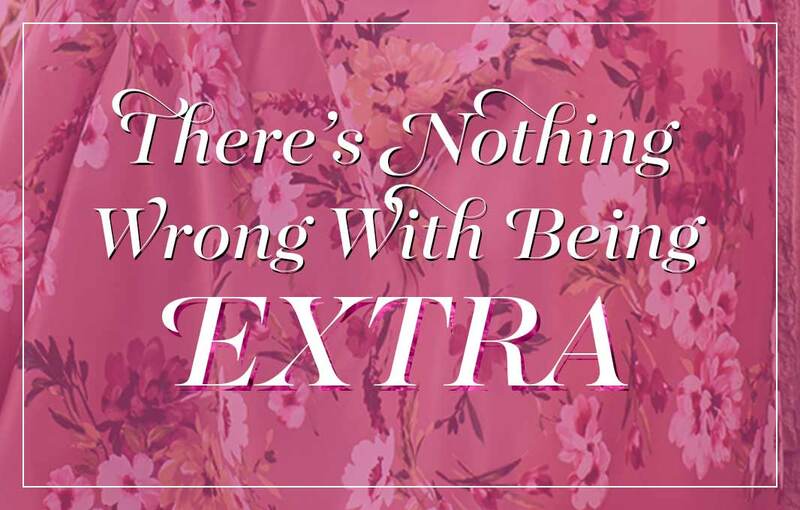 If you’re the honoree, change into your short party dress and celebrate your accomplishments with friends and family. To portray a flirty youthful look, try one of the teen party dresses with illusion lace bodices and tulle skirts, trendy off-the-shoulder short dresses, or two-piece dresses in vibrant colors and prints. If you prefer to channel your new mature self, go for one of the elegant fit-and-flare short party dresses for teenagers that are adorned with exquisite jewels or finely detailed embroidery. 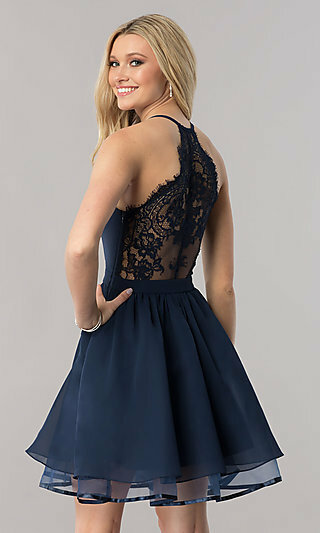 You will find short strapless Bat Mitzvah dresses with beaded or sequined bodices, modest sleeved Bar Mitzvah dresses with lace, and high-low sleeveless party dresses in form-fitting jersey or lavish satin fabrics. Whether you want to portray an innocent and youthful look or a mature and sophisticated style, the variety of Bat Mitzvah dresses and Bar Mitzvah dresses in this assortment ensures a look for everyone.